At Heart Space Whole Foods, we strive to minimise waste as best we can, and offer an earth-friendly shopping experience for our customers. 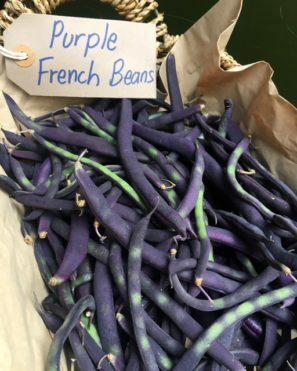 If you have been in the shop, you have likely noticed the obvious- that the majority of our fruit and vegetables are sold unpackaged. 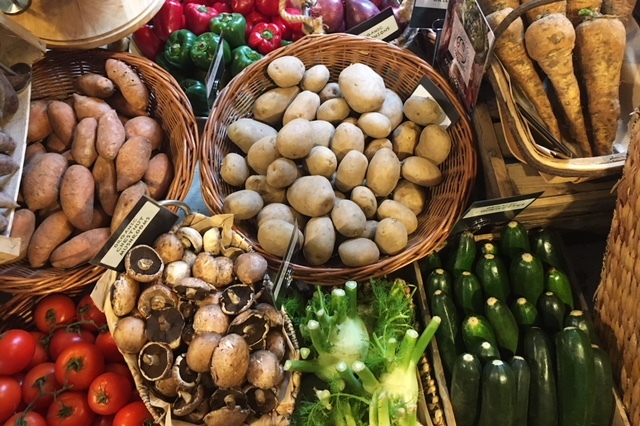 That is intentional, and we are quite proud of our ability to offer our customers package-free fruit and vegetables, allowing individuals to choose quantities that they need, minimising potential for food waste along with eliminating plastic waste. 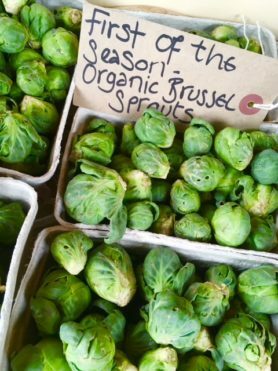 But let’s take a closer look at additional opportunities to shop green at Heart Space Whole Foods. 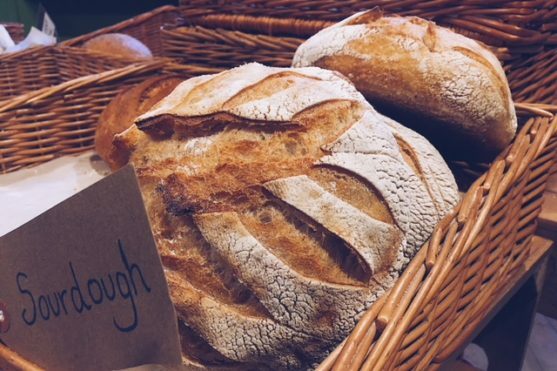 Both shops receive fresh artisan bread (and organic bread in St. Andrews) delivered three times per week (Tuesdays, Thursdays, and Saturdays). And all of our loaves are sold package-free! Pencil bread delivery days into your diary, and stop into the shops with your reusable bread bag for fresh and tasty loaves. That sourdough! The beverages available in our shop are sold in either glass or recyclable cartons. 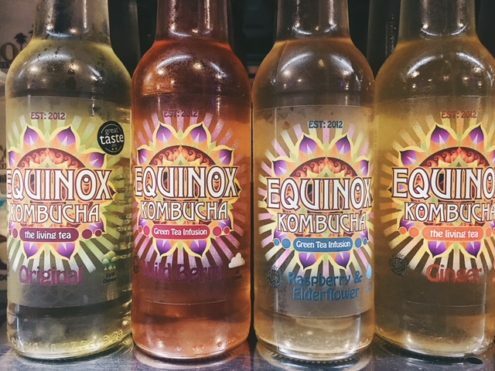 From water, to dairy-free milks, kombucha, and juices! Identify recycling bins in your neighbourhood, and be sure to recycle your empty beverage containers thoughtfully. 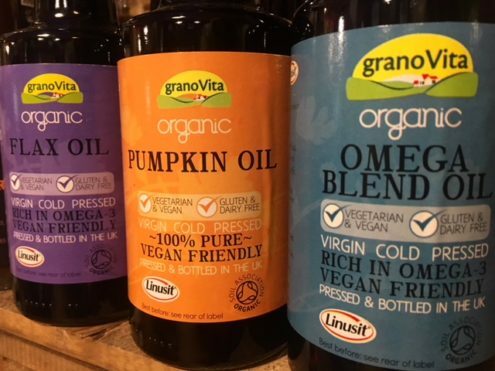 Do you go through olive oil and coconut oil as if they’re going out of style? We do! So we stick to purchasing and stocking these staples along with other condiments and sauces in glass bottles and containers. Feel free to recycle your glass jar once it’s empty, or clean it out and reuse it at home! Olive oil bottles make for lovely vases, or vessels for your homemade kombucha brew! Jars with a wider mouth are convenient for packing your yoghurt on-the-go, or lunch for later in the day. Some of us around the shop just like to re-purpose wee jars as drinking glasses at home. Get creative! Have you visited our Dundee juice counter? Take note that our fresh smoothie cups, soup cups, lids, and cutlery are vegware- made from plastic-free, biodegradable, and compostable material. 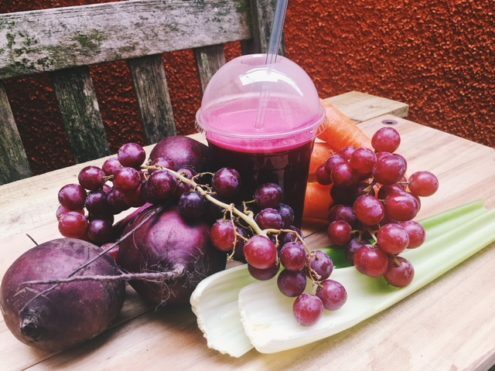 We are looking to also provide plastic-free bottles for our fresh, pre-made juices; however, in the meantime, feel free to bring your own reusable cup into the shop, and we will happily use that instead! In fact, we’ll do that for your soup and smoothies as well! 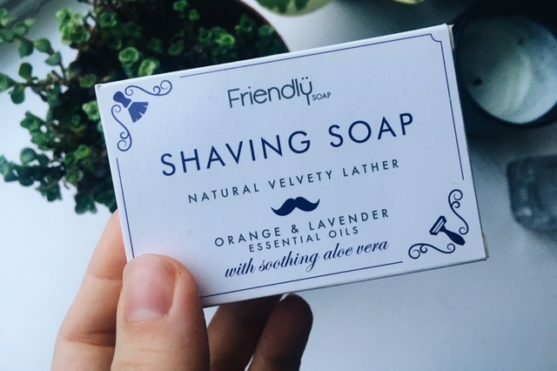 This past autumn we introduced Friendly Soaps into our shops- and customers are LOVING them! Friendly Soaps are made with natural, minimal ingredients and sold in zero-waste packaging. Free from parabens, palm oil, and SLS, we stock a variety of these handmade soaps, shampoo, facial cleansing bars, and shaving soaps. We find them to be long-lasting, and extra nice on sensitive skin. We believe in taking even the smallest steps toward making big changes. We support doing what you can, within your means. Whether you live a zero-waste lifestyle, or have chosen to make small swaps toward eco-friendly purchases, we applaud you… and we’re here for you. We also look forward to growing in our selection of plastic-free products! See you in the shops!